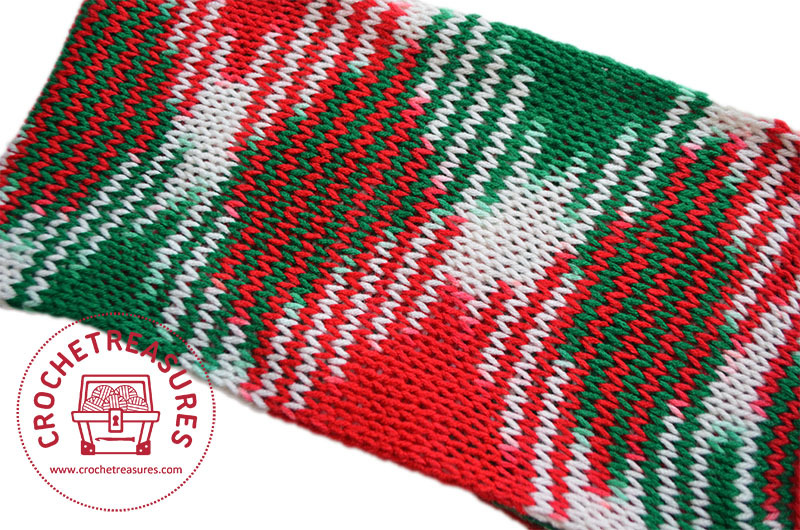 You will need a variegated yarn of any brand. Unravel few yards of your yarn to see the color pattern and the length of each color. Make a swatch. 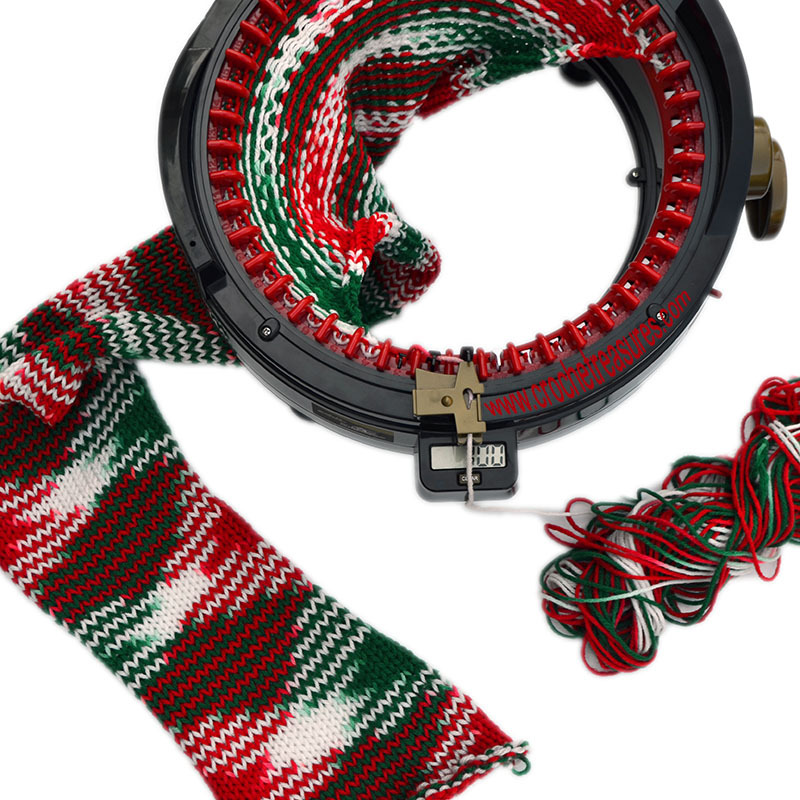 Using your Addi King Size Knitting Machine, knit a flat piece. Count and take note of how many stitches per colors. Go to planned pooling site: http://plannedpooling.com/. 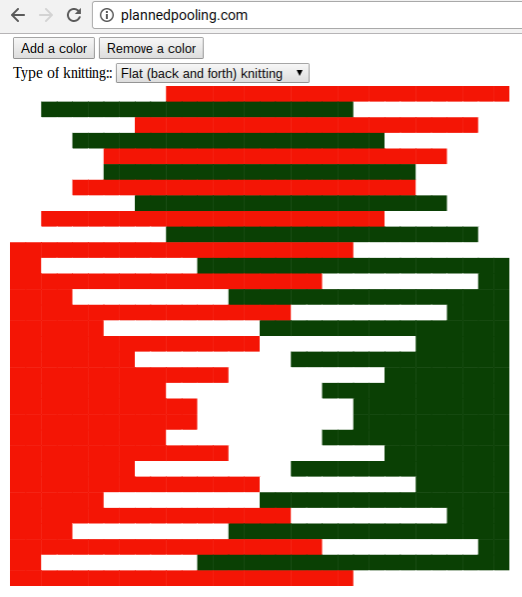 Add your colors and enter the number of stitches per color. Change the stitch count, this is will be the number of your cast on. Keep changing the number of the stitch count until you find the pattern you like. But remember, Addi king size machine has only 43 stitches in flat knit. 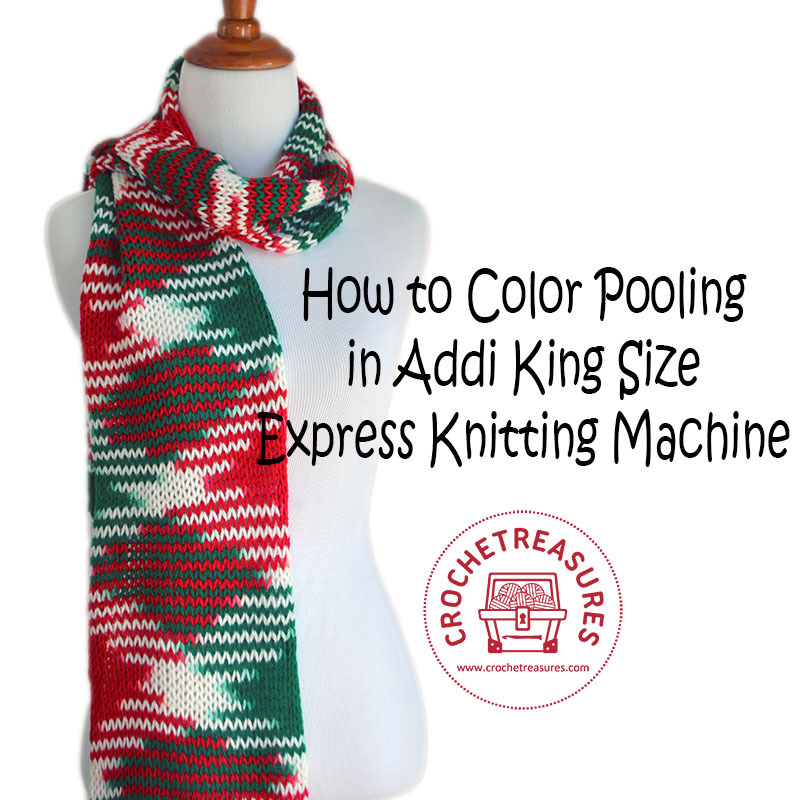 After you find the "magic number" for your yarn, ready your Addi king size knitting machine and knit in flat. Block your piece if necessary.